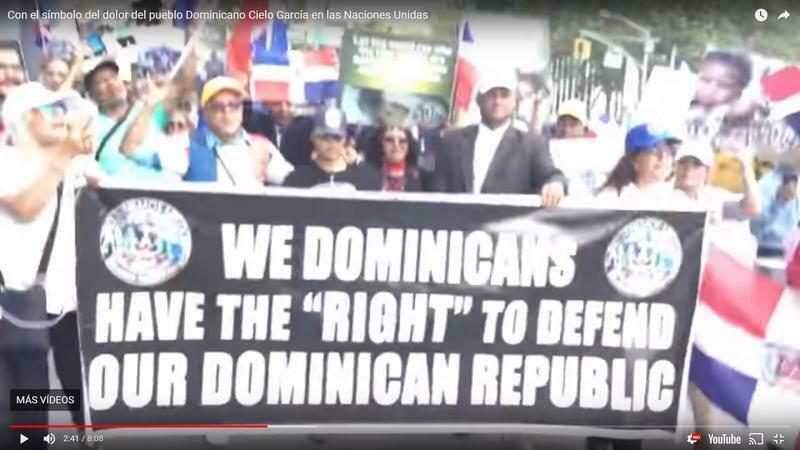 Apparently, today (assumption based on the fact the video was uploaded today by Manny Solano, the bald guy wearing a yellow cap and glasses in the video) a pro-DR march took place in NYC. Many Dominicans, including tv personalities, flew from the DR to NYC specifically to be part of this protest. If anyone have more details on this event or attended, feel free to chip in and/or correct anything. Last edited by NALs; 09-02-2018 at 11:43 PM. This took place on USA soil, am I not correct? What has always had me "scratching my head" is why so much pride talk comes from people who no longer live in their beloved native land. Not being critical, just wondering. hey, that is why every country has a parade in NY. color me guilty, because the West Indian Day Parade is the biggest in NY, and only beaten out in the USA by Mardi Gras and the Rose Bowl. so, i see where people are coming from. i want the green card, but i am still back home. Gorgon I think this protest or march has to do with the Dominican Day parade in NYC a few weeks ago. Many Dominicans decided to take a stance and not participate because it was planned that Haitian representatives in NYC and Haitian culture per se were going to be part of the parade this year. I read about it the week building up to the parade. Fast forwarding, the Dominican response from a participant perspective was no vamos a participar basically, spread the word ‘we are not going to participate’. I did not follow up on the outcome but I think this event is linked to the Dominican Day parade. I don’t know Gorgon. Pride is a funny thing. It brings out the best and worst in people. It may seem strange that these few participants flew from DR for this rally but what does it matter at the end of the day? It shows interest and concern especially if they do not live in NYC at all full-time or part-time. You know it is the old adage all talk and no action. At least they did something. They have to start somewhere by raising the voice of concern. i will be the last to get involved in any of these matters of passion. i keep a respectable distance, because only Dominicans and Haitians truly undertand the underlying passions. that is why i steer clear of Haitian vs Dominican threads. I agree but I was not sure if you knew that there is a motive. People did not just decide to protest for the sake of it. What you and bigbird were talking about did not have anything to do with the the OP’s post. This issue will work itself out. thanks for the heads up. you are absolutely right. i was not up to speed vis a vis the motivations..
A day late, a dollar short? Still confused. From the size of the protest and the cost of Delta main cabin seats was it worth it? I don’t know. Ask those who participated. Edited to add: see the post below mine. It was not about the Dominican Day parade which caused its own stir of the pot. Last edited by Marianopolita; 09-03-2018 at 10:52 AM. - Took place across the street from the United Nations headquarters and they marched to some park.